"For the Order and the Republic, I will give anything and everything, including my life." Mace Windu's wisdom and power was legendary, as was the weight of his words. 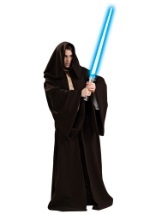 Now, you can embody everything Mace Windu stood for with these officially licensed Star Wars costumes and accessories.